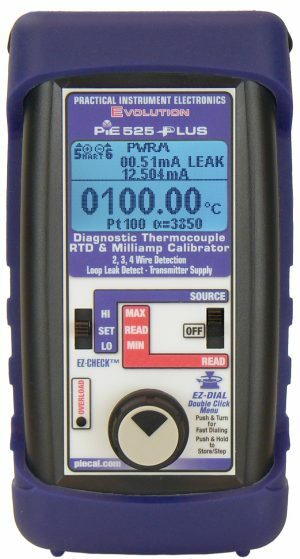 The Practical Instrument Electronics (PIE) Model 532 is the best tool for calibration, test, and diagnosing process loops. 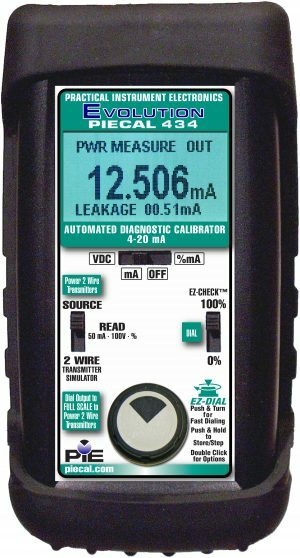 The Model 532 brings all the features you would expect from a loop calibrator plus troubleshooting tools! 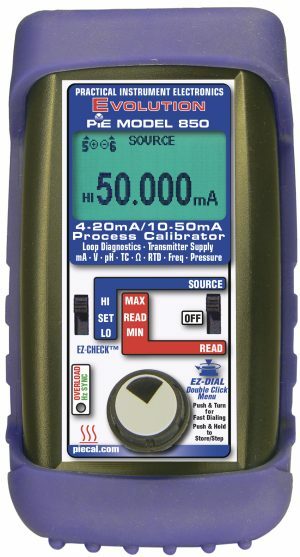 Make adjustments with the EZ-Dial™ knob or test limits with the Dual Action EZ-Check™ switch. Powerful ramping functions are only a button away on the Model 532. 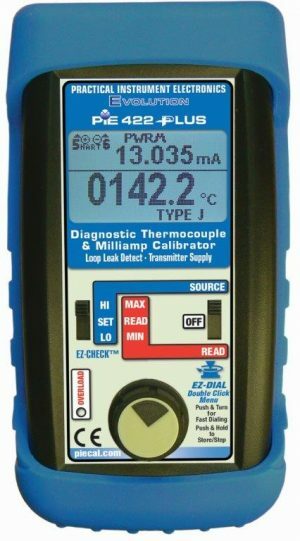 Save hours of troubleshooting time on problem loops with the Model 532’s unique Loop Diagnostic Mode, only available at PIE! In Loop Diagnostic Mode, the loop current, voltage, resistance, AC voltage and mode of operation are all displayed simultaneously eliminating the need of a DMM connection. Loop diagnostics is available in every mode of operation and truly is a diagnostic monitor, as parameters are continuously updated in real time. Loop Diagnostic features the ability to measure ground fault error caused by faulty wiring, flooded conduit and corrosion bridges. So ask yourself, is your loop REALLY Calibrated? Power on selectable 250Ω resistor in series with the output for compatibility with HART® protocol enabled devices.